(TibetanReview.net, May16, 2016) – In an apparent new propaganda drive on the issue of Tibet, China has invited, through an official think tank, Indian parliament member Mr Subramanian Swamy to meet top officials of the Chinese government and visit Tibet, reported India’s PTI news agency May 14, citing the BJP leader himself. Mr Swamy has in the past been among the most pro-China of Indian politicians and had also questioned the legitimacy of the McMahon Line in opposition to India’s stand on this section of its border with Chinese ruled Tibet. 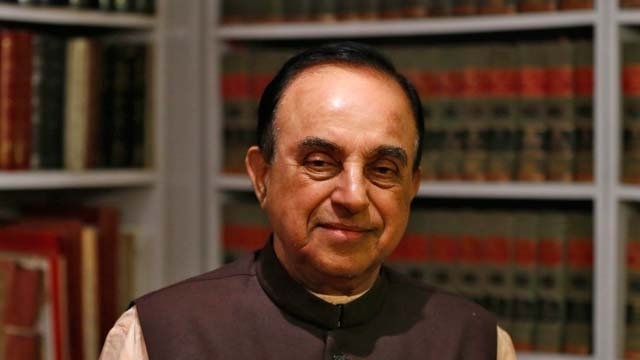 The report cited a statement issued by Swamy’s office as saying he will address a University audience in Beijing at the invitation of the Institute of Foreign Affairs, a think tank of the Chinese Ministry of Foreign Affairs. The statement was cited as adding that besides visiting Tibet, he will be taken to Kailash Mansarovar as a guest of the Chinese government. “He has been visiting China since 1978 and was instrumental in initiating thaw in relations between the two countries,” the statement was quoted as saying. China hosts lavish paid visits for select politicians, diplomats, journalists, academics and others from across the world in order that they boost its image by speaking positively about the situation in the country and its policies and actions, especially in a region like Tibet. Mr Swamy has been dominating parliament discussions and television news channels recently with his relentless attacks on the Congress party leadership over a range of corruption and other issues.